It was the first time I had been to the Riley Center for the Arts. I got there early and parked right out front. There were only a few people there when I arrived. I had purchased my tickets in advance and they were waiting for me when I arrived. The $10 price of admission was also good for $10 off the price of the book, which I thought was a pretty good deal. The cover price is $16.95. Mr. Krugman was going to sign the book after he spoke. I went into the theater to find a seat. It’s a very cozy, comfortable auditorium that holds about 250 people. They are all good seats. I sat four rows back on the center isle. I could see and hear perfectly. Mr. Krugman was introduced by one of the owners of the Northshire Bookstore who sponsored the event. He gave an interesting talk for 45 minutes or so about the current economic crisis. At times he was funny and at times he was serous. He then invited the audience to ask questions. One of the more interesting questions was, where are the jobs going to come from for our kids. Paul said that he wasn’t really sure but, green jobs were one possibility. Where are those green jobs anyway? I think the person who asked the question was retired. He may not realize how many people over 50 are looking for work after having been laid off from a job they held for years. In recessions that I remember, it was always assumed that even if you were laid off, you would probably get hired back by the same company when the recession was over. Nobody is assuming that now. A lot of manufacturing jobs are gone and they aren’t coming back, unless by some miracle something changes drastically. I was listening to the different questions people were asking and trying to think of one of my own. I finally came up with a question about the Glass-Steagall Act but, by then it was too late to ask. I wanted to ask him if he thought the Glass-Steagall Act, that was enacted in 1933 during the Great Depression and repealed in 1999, should be brought back to prevent another financial crisis. It seemed to work pretty well for 70 years or so. Wow. I don’t think a lot of politicians realize how bad the economy really is. There is far too little being done to create jobs in this country. The politicians just don’t get it. This March 28, 2009 Newsweek story about Paul is interesting. The title of the story is, “Obama’s Nobel Headache” and it refers to Paul Krugman’s Nobel Prize not President Obama’s. Apparently Paul and I have some things in common. We are both the same age (56) and we both came home from school once with a bloody nose. The article implies that it was from a punch in the nose. Mine was too and it was well worth it. Based on the picture that goes with the article, he needs a bigger umbrella too. After he spoke Mr. Krugman signed copies of his book. I was lucky enough to be one of the first in line. When it was my turn, there was a young man standing next to him talking to him as he was signing. I always thought that when an author was signing his book for you, that you should be able to have a quick converstation. I leaned over the table a little bit and got his attention by saying that I enjoyed his column in the New York Times and that I enjoyed his speech tonight. He looked at me and said thank you. It was nice to get to meet someone that I read all the time and see on television. It only lasted a few seconds, but by the time I left, the young man was gone too. Bob Herbert is my favorite columnist. You can read him every Tuesday and Saturday in The New York Times. Or should I say “on” The New York Times? His column today is called, “Does Obama Get It?” The column is about the huge unemployment problem in the United States. After I read the column I commented the following: Bob, Thanks for another great column. It seems extremely stupid to me that they don’t count unemployed people who are so discouraged that they stop looking for work. When an individual becomes unemployed, they are no longer making deposits into their Social Security account. That is what should be tracked. Unless the person has retired, and that should be easy enough to figure out based on their age and whether or not they are collecting unemployment from a state, they should be counted in the unemployment figure. I’m sure that computers could track that quite easily. The federal government bailed out Wall Street and the banks. They didn’t help the average citizen. Another jobless recovery in this country is going to be very ugly for a lot of people. Where are the green jobs and when are we going to start rebuilding our infrastructure? Perhaps the president should read, “Freedom From Fear” by David M. Kennedy. (end of my comment) We need to bring counting the unemployed into the twenty first century. “Freedom From Fear, The American People in Depression and War, 1929-1945″ was published in 1999 by the Oxford University Press. Bob Herbert’s September 15, 2009 column is titled, “A World of Hurt.” In it he says, “This recession, a full-blown economic horror, has left a gaping hole in the heart of working America that is unlikely to heal for years, if not decades.” It is another great column that is well worth reading. If you click on his name under the title of the column, you will see a brief biography and a list of the columns he has written over the past several years. If you haven’t discovered Bob Herbert yet, I’m glad that I can introduce you to him. GlobalFoundries is building a new $4.2 billion computer chip plant about 15 miles from my house. It will be the most modern chip plant in the world when it is completed in 2012. 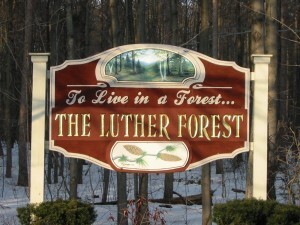 It will be built in the Luther Forest Technology Campus (LFTC) located on 1,414 acres in Malta and Stillwater New York. It will be just a mile or two from Saratoga Lake and a few more miles from the city of Saratoga Springs. GlobalFoundries, based in Sunnyvale, California, is a new company created by Advanced Micro Devices (AMD) and Advanced Technology Investment Company (ATIC) of Abu Dhabi. AMD creates and designs computer chips for personal computers and servers. While Intel is AMD’s largest competitor, Taiwan Semiconductor Manufacturing Corporation is GlobalFoundries biggest competitor. GlobalFoundries has an existing chip plant in Dresden, Germany. If you click on the link, it will show you a picture of the chip plant in Dresden. The new chip plant will look similar to the one in Germany. ATIC is a company created by the government of Abu Dhabi. ATIC will own 56.6% and AMD will own 44.4% of the new company. Luther Forest is just off exit 12 of the Adirondack Northway (I-87). The part of I-87 that runs from Albany, New York to the Canadian border near Montreal is known as the Adirondack Northway. 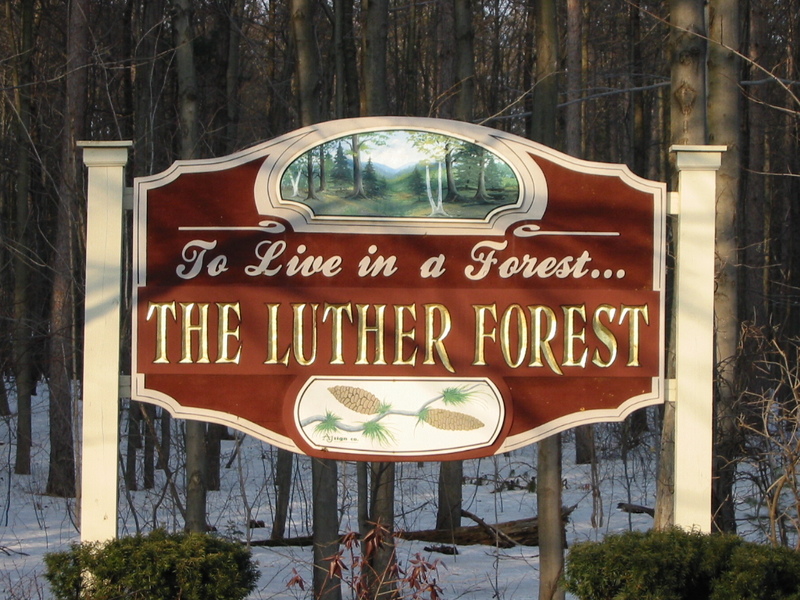 I drove around Luther Forest the other day and I was surprised to see how many private homes were in the area and how close it was to Saratoga Lake. I am not complaining though. This area can use some good, high paying technical jobs. GlobalFoundries says that it will create 1,465 jobs at the chip plant when it is fully operational and that over 5000 other jobs will be created by outside vendors to service and support the chip plant. It should help the economy of this area for years to come. A chip plant is also known as a Fab, short for fabrication plant. The new plant in Malta, NY will be known as Fab 2. The Dresden, Germany plant is Fab 1. I plan to write more about the building of the chip plant and its impact on the area in future posts. Do you have a specific question about the chip plant that wasn’t answered here? Leave a comment and I will see if I can find the answer. I appreciate your comments.